UNDIAGNOSED HIV RATES in Dublin are high by international standards and high enough for widespread screening to be recommended according to the Mater Hospital. 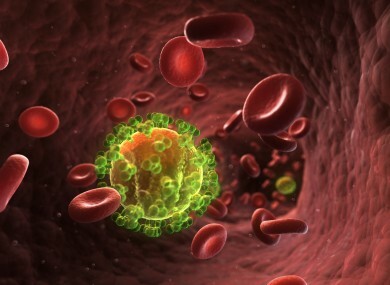 Almost three in every 1,000 people tested as part of a new programme were diagnosed with the HIV infection. The results come from a new project being trialled at the Mater in conjunction with the Jacobi Medical Centre in New York which offered routine attendees to the Mater Emergency Department a confidential, rapid HIV test. The tests involve an oral swab with results provided within 30 minutes. Over 6,000 people were offered the test with 4,900 accepting and a total of 14 people returning positive results. Advances in the treatment and management of HIV now mean that those diagnosed early who receive appropriate treatment can realistically stay healthy and expect a normal lifespan. ‘The message from this project is clear: the prevalence of undiagnosed HIV in Dublin is high. It’s in everybody’s best interests to test and know their HIV status. O’Connor added early detection is key to preventing onward transmission and the 82 per cent acceptance rate for those offered the test demonstrates the effectiveness of emergency department screening. Participants who took the test were also shown an interactive counselling video which included an on-screen survey that assessed risk behaviour. The preliminary results of the study were released as part of the 2013 European HIV Testing week which ends today. Email “Undiagnosed HIV rates high in Dublin, widespread testing recommended”. Feedback on “Undiagnosed HIV rates high in Dublin, widespread testing recommended”.